Why Can't Microsoft Make A Console That Just Works? I didn't start out as a console-racist. I believed that all consoles had their merit and if someone liked one system more than another, good for them. Obviously, they had something they loved. Then the Xbox 360 came along. I think we all know about colorful past of Microsoft's latest console, and that color in particular is red. I don't know about you, but I know ten people who have experienced the Red Ring of Death, four of them more than once. I'd offer my sympathies as they'd explain the lengths they'd go to in order to get a few more days or weeks out of their system, wrapping it in blankets and taking part in pagan console-revival rituals. Still, I was almost willing to live with that. Over three years ago, before I found a backwards-compatible PS3 for a good price, I was almost lured in by a $100 4GB Xbox 360 bundle. The friendly GameStop clerk, who I'd known for years, had sound advice for me that I remember to this day: "It'll last about a year. It'll be a good year, but it will only be a year." I didn't jump on the Microsoft train at that point in time, though it was very tempting. That didn't happen until the summer of 2012. There were a handful of original Xbox games I'd always wanted to play. A few were available via other formats, but I didn't want to have to worry about PC requirements and acquiring fan-patches to make them run on my mediocre laptop. I wanted an actual Xbox. I was on the hunt. It was then I learned that Microsoft making crappy consoles wasn't a recent burst of laziness; anything with Xbox in the title had about a 50-50 shot of making your life hell. My delightful Xbox experience began a few months ago. I was at Wolff's Flea Market with friends and was searching for great gaming deals, as usual. That's when I saw the Xbox. It was beautiful. It came with a system, all necessary cords and cables, a carrying case, that nub that lets you play DVDs, a remote control and a copy of Jade Empire for $20. There was a controller next to the case and I scooped it up as well. I asked the vendor if the system worked, got permission to take it to the electronics testing area to see if it would at least turn on (it did) and talked the man into including the controller in the purchase price. Sold! I spent the next two hours there with friends, carrying the 50lb load on my back. Fine. I'm exaggerating. It was probably only a little over 10lbs. Still, carrying it for over two hours on an 85-degree day at a flea market, where I was doing more standing than walking, made it feel heavier. Plus I did pick up an extra controller and four more games during the journey. I was ridiculously excited about my purchase and, when I got home, the first thing I did was plug in my new-to-me Xbox. It powered on and seemed perfect. I checked the saved games and saw it had no memory issues. I grabbed Jade Empire and popped it into the disc tray. I took it out, wiped the disc on my shirt, and popped it back inside. I checked the Internet. People told me I shouldn't panic unless the system couldn't read a regular CD. If it couldn't, I was screwed. I grabbed one. It was official. My new Xbox's disc drive was dead. I'd have taken it back to Wolff's, but it was past 4pm. The flea market was closed and odds are I'd never see that vendor there again. Fortunately, it wasn't over. 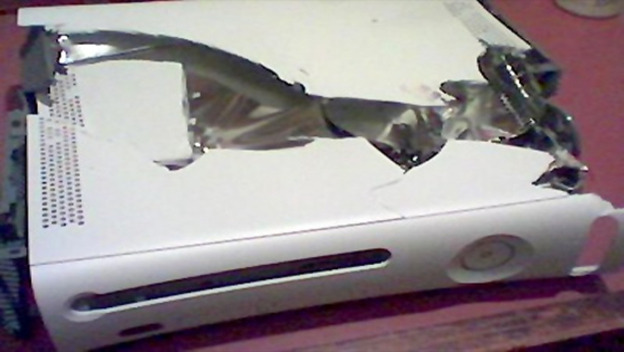 I was lucky enough to have a friend with similar Xbox woes. In his case, his Xbox's power button had stopped working and the eject button had transformed into an eject/power button. It was unusable. If he pressed the eject button to open the disc tray, the tray would pop up and the system would power on. If he pressed the button again to close the tray, the tray would close and the system would turn off. He'd given up on it and offered it up as parts out of pity. Naturally, I cracked into his Xbox like an otter tears open a clam. Thanks to the Internet, I knew exactly what to do, and within fifteen minutes I had cannibalized the sacrificial Xbox and replaced its healthy disc drive with mine's flawed one. It was a thing of beauty and quite an empowering moment. I had triumphed over the box. I later learned my situation wasn't unique. 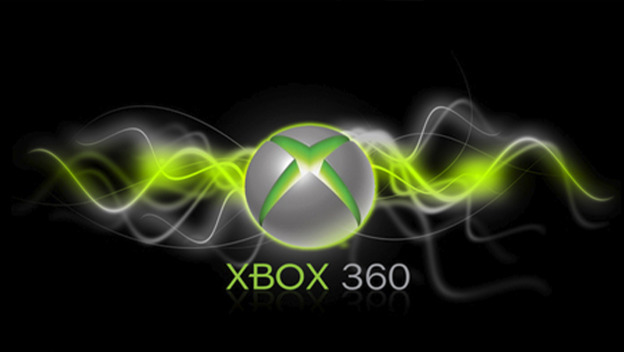 Apparently, disc drive failure is a common Xbox problem, and even one that Xbox 360 owners encounter. It's something that just happens and people have to accept it. Meanwhile, in Used Xbox Land, I've been seeing some unsettling messages. Five out of six times I try to play a game, I'm told, "Your Xbox can't recognize this disc. Make sure it's an Xbox game, DVD movie, or audio CD. Also check to see if the disc is dirty or damaged. Remove the disc to continue." I’d better make sure my Torx screwdriver is handy, because something is coming. I can feel it. Meanwhile, my 22-year-old Genesis and 32-year-old Intellivision keep on trucking.